From our early years all the way to college, a backpack was a stylish accessory we couldn’t live without. The truth is, most of us appreciated it due to its practicality, but then came the time when we simply decided to swap it for more conventional “adult” briefcases. After carrying one for a few years myself, I decided to ditch it, and return to the good old days. Unfortunately, most backpacks I came across sported a wild design, primarily intended for children and teenagers, but I kept on looking. 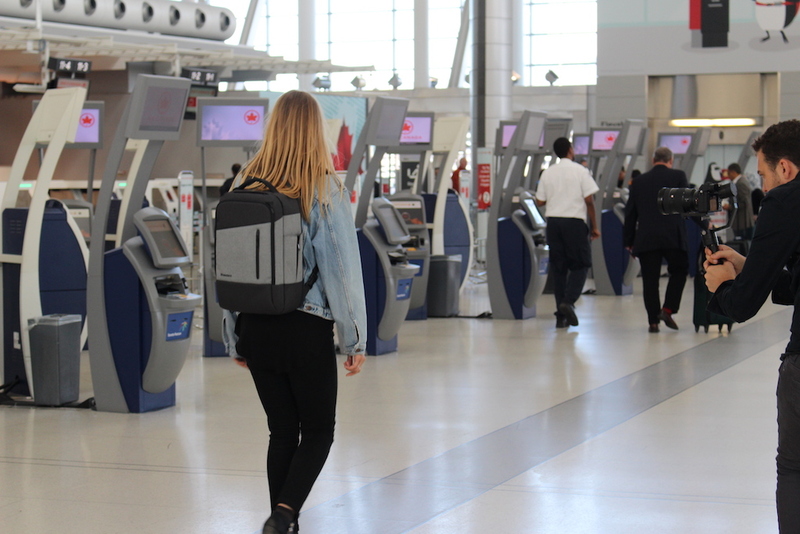 One day, I stumbled upon this classy Laptop Backpack by Standard Luggage Co., made by a company called Standard Luggage, and I was simply blown away. Here are some of my experiences with it. As I mentioned above, migrating from a briefcase to the backpacker life was a very simple choice. Being a person who hates having to carry stuff in my hands during the whole day, I felt that the briefcase was killing me one month at a time. On the other hand, Standard’s Daily Backpack can be carried in a comfortable way, meaning on your back, but in a matter of seconds, it can be transformed into a messenger bag. Furthermore, if you’re one of “those people”, you’ll be happy to know that it also sports a comfortable handle on the side, so you can carry it in a more traditional way. Not me, though, I’ll gladly stick with the other two options. When it comes to dimensions, the Daily sits right in the sweet middle ground, with an 18L capacity, and 45 x 28 x 15 cm overall size. How can a backpack be high-tech? Standard’s designers were very well aware of the fact that their buyers would expect to see some awesome features from the Daily, so they equipped it with an RFID secure pocket! That’s right, this neat little thing will keep all of your information safe at all times! In this crazy era, this is a truly welcomed sight. Besides the RFID blocker, it’s also equipped with a USB charging port, so you can momentarily top off all your gadgets on the go! How could I ever function without this option is beyond me. Having tons of amazing features is nice, but it all goes out the door if your backpack rips apart after only a couple months use. Luckily, this bad boy is made from the 310D polyurethane sealed nylon, which is supported by a 210D nylon, serving as an inner lining. This lightweight material is extremely durable, and will provide you with an awesome water resistant protection! If you’re anything like me, and you don’t really have too much faith in this information, you’ll be impressed by the fact that Standard decided to also ship out another rain cover with the package, free of charge. YKK zips, snap hooks and buckles are there to hold everything in place. The icing on the cake is the Lifetime Warranty and Satisfaction Guarantee, Standard provides to their loyal customers! You wouldn’t believe how many items you can pack inside such a small thing! A compartment specially design to carry your 15’ laptop is a necessity, but this backpack also comes with three outside zipper pockets, collapsible water bottle pocket, battery back sleeve, as well as the one intended for a tablet. Photography enthusiasts will adore this backpack thanks to its camera and lens pocket, and three zipper mesh pockets on the inside will be perfect for any cables and adapters. As you can see, this was more of a quick rundown of all the neat features the daily possesses, rather than a complete detailed review. At the end of the day, it all comes down to one decision: is this backpack worth your money? In my opinion, this isn’t even questionable. Believe me, you’ll want to have one of these things behind your back, ASAP. Shop now at Standard Luggage Co.